Amanda and I have flown to Korea to start our tour of Asia and New Zealand/Australia, and we don’t plan to make it back to the U.S. until Memorial Day. Packing for this leg of the journey was quite the challenge due to the many different climates and activities we have planned for the next half year, but we managed to fit everything into our (heavy) backpacks. We flew to Seoul and spent two days there to begin our trip and adjust to the new time zone and now are working our way around Korea. 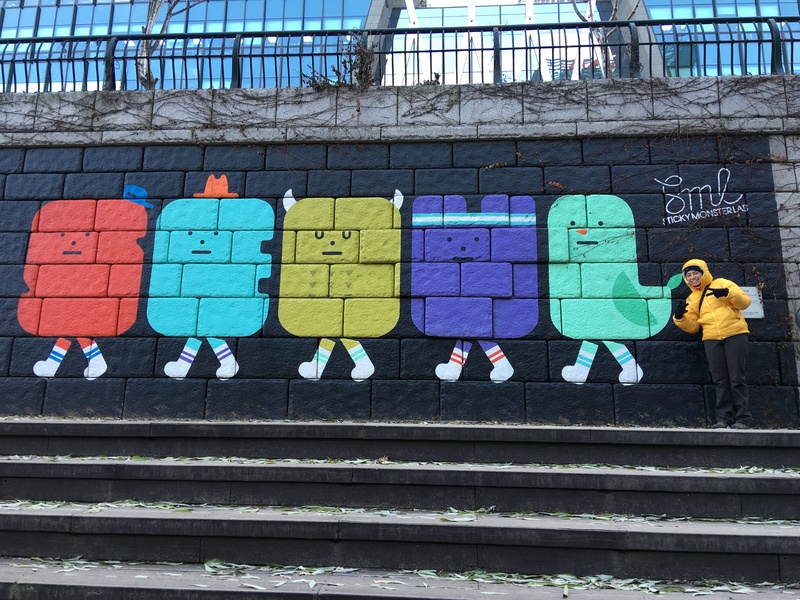 Art work along the Cheongyecheon. Here is our itinerary so far: Amanda and I are in Korea for two weeks, and then we fly to Taiwan. We will spend three weeks in Taiwan and then we head to Japan on January 9th. We are renting a campervan in Japan to drive around the islands and will spend over a month in country before finally flying to Thailand on February 11th. That is as far as we have plane tickets booked, but the idea is to spend 2 months travelling around Southeast Asia, and then head to New Zealand around April. Let us know if you’ll be somewhere in these areas and want to meet up. As you can tell, we’re pretty flexible on the planning.